Willow Chance is a twelve-year-old girl who sees the world in multiples of 7, patterns involving 7, subsets of 7. 7 is her favorite number. She can learn a new language, even one as difficult as Vietnamese, in a couple of months. She will get a perfect score on pretty much any SAT-type of test that she takes, and she will finish the test in a fraction of the time allotted. She is neither arrogant nor falsely modest about her abilities. Her facility is simply a fact of the universe, something she studies, like the growth of plants, human disease conditions, and human behavior in general. 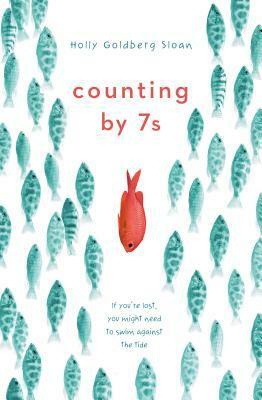 Willow also happens to be a very caring person, keenly observant and slyly funny, and it is a pleasure to share her company on every page of Counting by 7s, Holly Goldberg Sloan’s smart, engaging, and deeply moving new novel. But Willow is also someone who has experienced more misfortune in her short life than any kid or even adult should ever have to endure. With the help of a small group of off-beat, yet well-drawn and believable, characters, Willow not only survives, she thrives, and somehow, as she meets the challenges of adversity, she manages to elevate the lives of almost everybody with whom she comes in contact. Counting by 7s is a wonderful book, entertaining and thoughtful enough to gain a wide readership beyond its target audience of young adults. The adventures of its appealing central character will make it a novel of special interest to anyone who knows or who has experienced the life of a gifted young person. Is there a book or resource that you love? Please share with us by commenting below or by emailing IEAgifted@educationaladvancement.org. We’d love your input for our next recommendation!